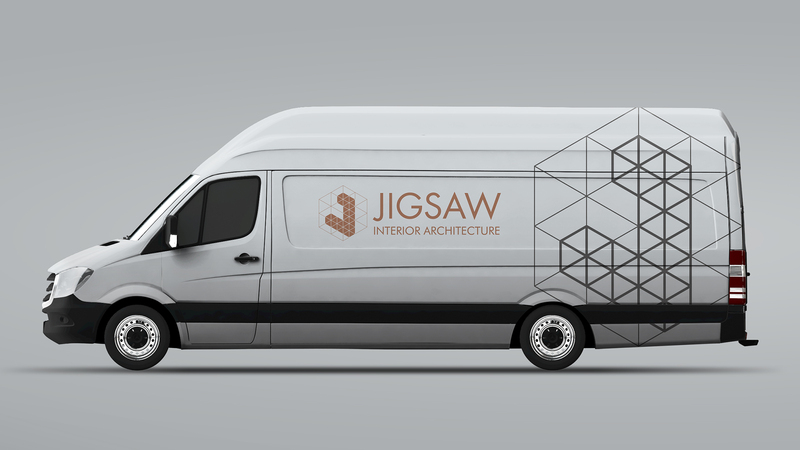 Jigsaw Interior Architecture were founded in 2005 and have enjoyed considerable growth since – becoming a recognised leader in the emerging industry of Interior Architecture. 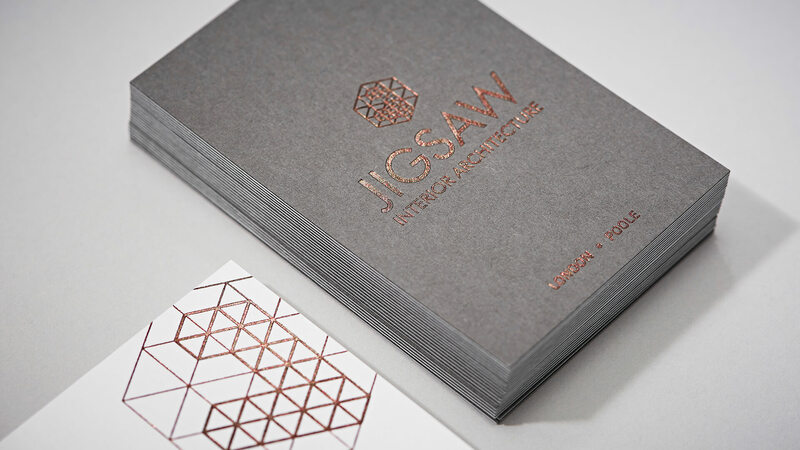 Jigsaw approached We Are 778 in 2014, commissioning us to provide a full brand identity to launch them instantly and help monopolise in a competitive market. This including the design and delivery of a new brand logo, drawing on 3D spacial themes associated with relative practices. 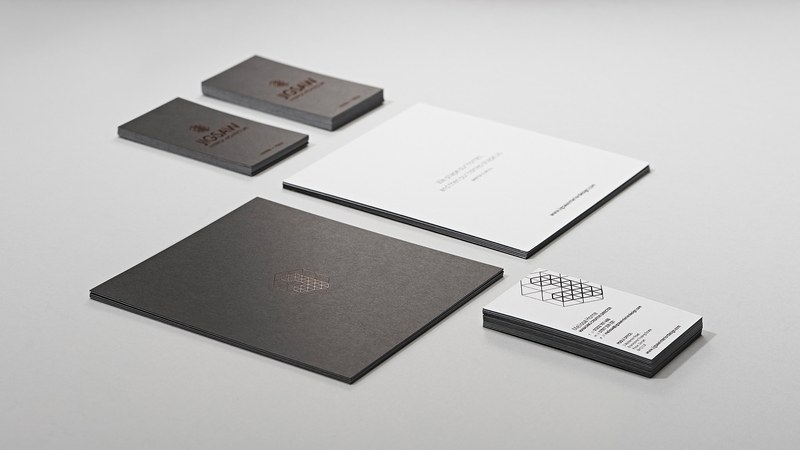 A new portfolio website shortly followed, as well as the production of all corporate ID – Including luxury duplex bonded business cards, brand launch ‘teaser flyers’ and a new company brochure – all featuring GF Smith Colorplan stock with bronze foiling. This luxury company brochure subsequently went on to win the ‘Finishing’ award at the 2016 Digital Print Awards, for its bespoke, themed design – based on an Interior Design swatch book. 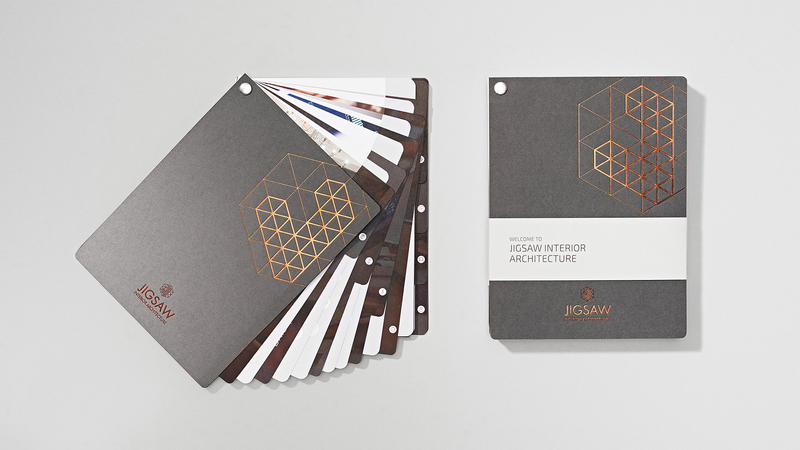 The We Are 778 creative team continue to work with Jigsaw, maintaining their marketing presence across all platforms.